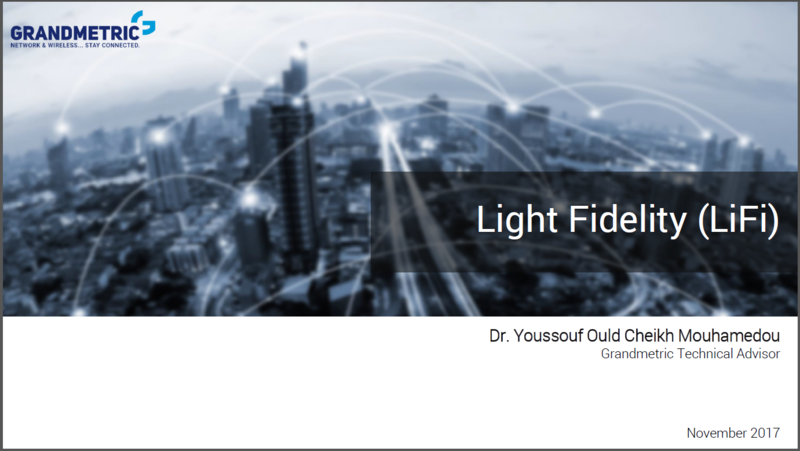 Light Fidelity (LiFi) was introduced by Prof. Harald Haas, from the University of Edinburgh in the UK, in his 2011 TED Global Talk titled “Wireless Data from Every Light Bulb”. It is a new broadband wireless communication technology similar to WiFi, but it uses visible light communication (VLC) instead of radio frequency used by WiFi. LiFi can transmit data at incredible speeds in the range of 200 Gbps in laboratory conditions using direct Line of Sight (LOS). LiFi uses Light-Emitting Diodes (LEDs) bulbs, which flicker on and off at a very high rate not noticeable to the human eye, as a medium to deliver high speed communication. 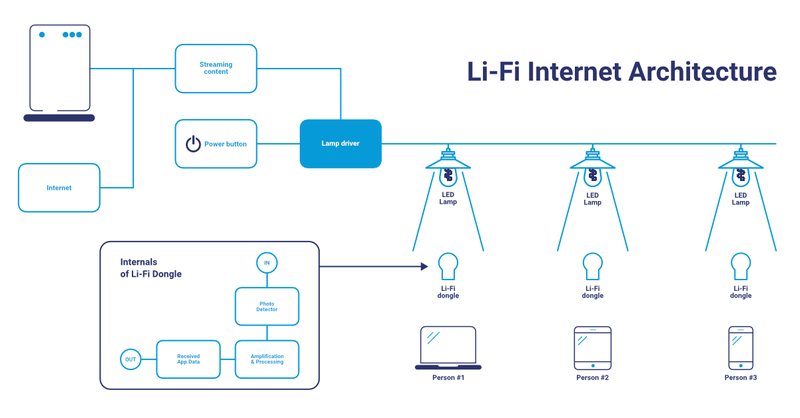 Because LiFi uses light, it cannot penetrate walls and has limited working distance of typically a few meters. The lack of penetration capability through walls can be disadvantage for some users, but at the same time it is indeed advantageous from security point of view (i.e., LiFi is more secure from hacking, relative to WiFi, because communications cannot be intercepted by anyone in another room). More details about advantages, drawbacks, potential applications, and commercial product of LiFi are in the PPT presentation.